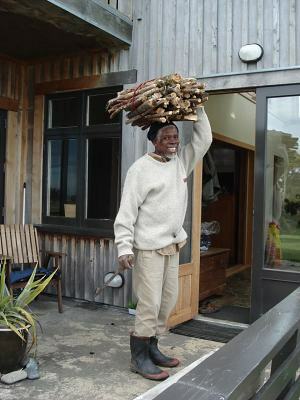 We are saddened to note the passing of Master Weaver Gilbert Ahiagble, best known as “Bobbo”, this July, 2012. Our thoughts and sympathies are with his family, his wife, the six daughters and eleven sons he loved. 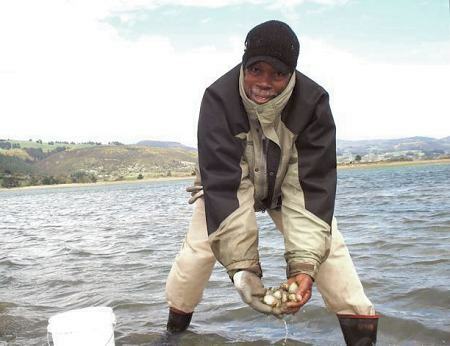 Bobbo was a charming man, he had a wonderful smile, a friendly personality. He leaves friends all across the world, he was a wonderful guest to everyone he visited and the best imaginable host to those lucky enough to visit him. We know there are people across the world right now who are saddened by the loss, and also thinking of the good memories Bobbo has left with them. We've received a few photos from friends which we are posting here. If you would also like to contribute a thought, or a photograph, please let us know. 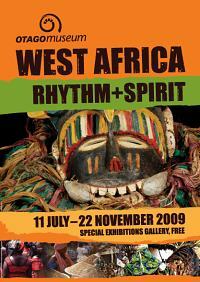 Bobbo was also the initial inspiration for the AfricanCraft web site. We are going to miss him dearly. 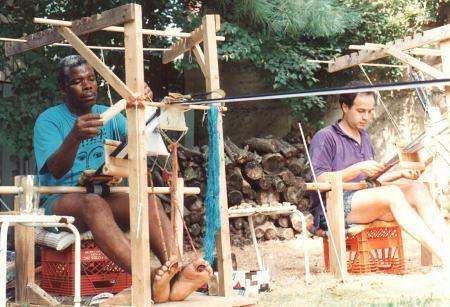 Bobbo and John, on two looms Bobbo set up in my sister's backyard, one portable and one in the ground, some 30 years ago. 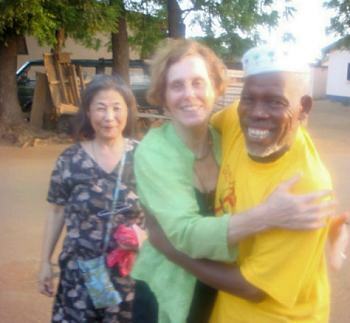 I wonder how many Kente looms he set up in the many places he visited. And how many may still be standing! Poster which the Otago Museum produced promoting the exhibit at which Bobbo demonstrated/lectured/taught for the first several weeks of the exhibit. 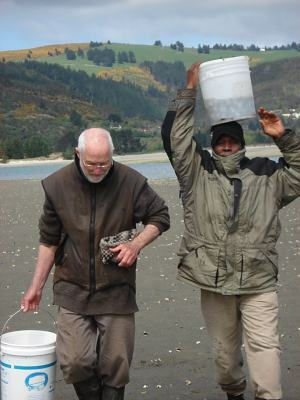 Photo courtesy of the Otago Museum, New Zealand. Bobbo in New Zealand. Photo coutesy of J.A & P.H. Vanderburg. Accept my deepest sympathies. I remember the sumptuous and poetic patterned kente cloths that I was privileged to use as bedspreads in Louise's home. 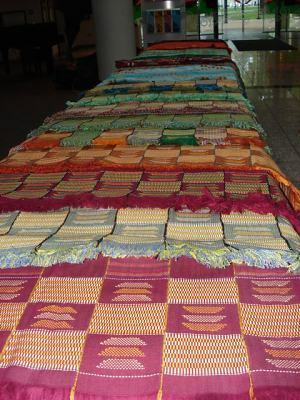 She first introduced me to Bobbo's weaving before I briefly met with Bobbo in March 2011. For an artist interested in colour and the invention of form, Bobbo's work in Louise's collection and at The National Museum of African Art, Washington, DC was a great resource. We all agree that colour represents a common ground in painting and weaving. Bobbos legacy to me is huge. 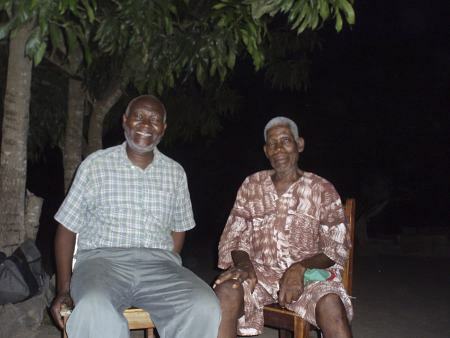 One local Washington story that remains for me was in meeting Bobbo's sons: two weavers – brothers from a famous weaving family in Ghana – Chapuchi Bobbo Ahiagble and Grandy Bobbo Ahiagble. We exchanged ideas. 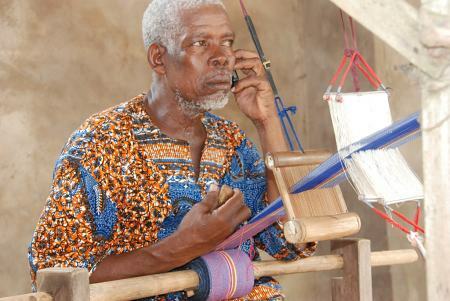 Gilbert "Bobbo" Ahiagble, of the Ewe ethnic group is a Master Kente Cloth Weaver from the Volta Region of Ghana. He began assisting his father by winding bobbins at the age of three and moved onto the West African loom as soon as his legs could reach the treadles, at around the age of nine. He obtained a solid formal education also and his academic abilities opened doors for him and he soon received a diploma as a secondary school teacher, which obliged him to make a choice at the age of 21, to become a teacher or to remain a weaver. 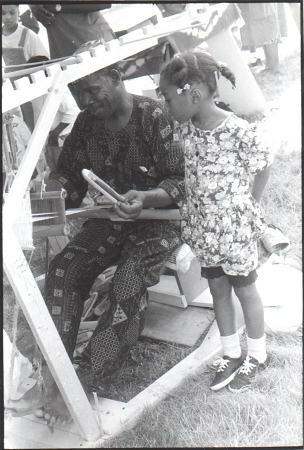 Influenced by words he heard from his Peace Corps math teacher, he combined the two and became a teacher of Kente cloth weaving. 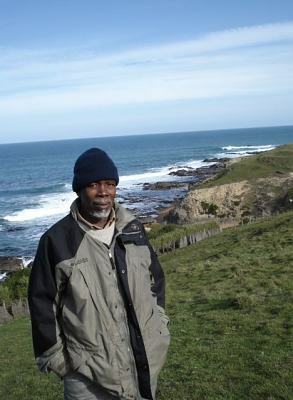 Bobbo was first invited to the USA in 1975 as an Artist-In-Residence at the Museum of African Art, then a small, private museum which became part of the Smithsonian Institution several years later. 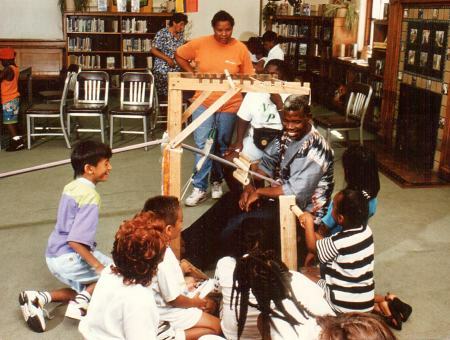 His skills as a communicator soon gave him the title of "Cultural Ambassador of Kente Cloth" and continuous invitations to work abroad came from Switzerland, Canada and the USA. 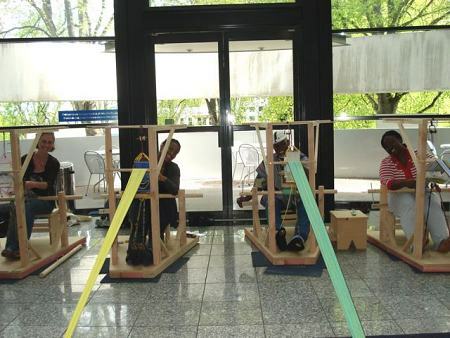 Most recently he taught American fiber artists the fine art of Kente weaving in a workshop held in Atlanta at the prestigeous conference of the Handweavers Guild of America, "Convergence". Bobbo's weaving business employs many weavers in the Denu and Agbozume areas. Bobbo has had a major influence on traditional West African strip cloth weavers beyond the borders of Ghana. He serves as a spokesperson for the power in the language of Kente cloth, filled with symbolic proverbs present to enrich the lives of everyone ready to listen and learn. Just recently he has co-authored a children's book, titled Master Weaver from Ghana, with Louise S. Meyer, with outstanding photographs of his home town taken by Nestor Hernandez, a Washington, DC based documentary photographer. And he has built a school and dormitory in Denu, called the Craft Institute of Kente Weaving, where student groups can stay and learn traditional Kente cloth weaving.